Most scientists are extremely meticulous when it comes to planning, performing and interpreting experiments. We spend many days reading up on the background literature to find out what aspects of the research is already established, and what research questions would be novel or meaningful. Once the nature and goals of the experiments are established, we generate an experimental plan and ensure that we have all the necessary equipment and supplies. While performing the experiments, we often run into unanticipated problems (“we just ran out of cell culture media”, “the cell number is half of what we had anticipated”, “the qPCR machine just broke down”) and have to quickly improvise to salvage as much of the experiment as possible. Once the experiments have been sufficiently replicated, scientists interpret the data and give rise to conclusions and novel hypotheses. One could presume that scientists would apply a similar degree of meticulous planning and execution in other situations at work that require organization skills, such as …..job interviews. Unfortunately, this is not necessarily true. I can speak from my own experience as an interview candidate in a variety of situations, as well as someone who has interviewed many graduate students, post-docs, research technicians and faculty candidates. When I look back at my career, I realize that I was not very well prepared for my job interviews and have had a “roll-of-the-dice attitude’, very different from my approach to my scientific experiments. An interesting recent commentary in the journal Nature Immunology by Haseltine and Gould suggests that many scientists abandon the scientific process that they are so accustomed to when they are interviewing for jobs, and that this can be quite detrimental to a scientist’s job prospects. The article provides specific examples of how to approach a job interview in a “scientific” manner by applying principles and practices that we use for our scientific work to the interview process. This experiment-interview analogy can be quite useful as long as it is tailored according to the individual situation of a scientist applying for a job. Before scientists perform experiments, they routinely use literature search engines such as PubMed or Web of Knowledge to find out what has been previously discovered and published. Job candidates should make use of these search engines to thoroughly research recent scientific publications from the laboratory or department in which they are interviewing. This gives the candidate a good overview of the topics of interest and productivity of their future employer, and it also allows the candidate to impress the interviewers with an in-depth and current knowledge of the area of research the interviewer is engaged in. Haseltine and Gould also make the excellent suggestion that candidates should not just rely on search engines of published scientific findings of a laboratory, but also make use of information available from grant funding agencies. The NIH (National Institutes of Health) grant search engine RePORTER, for example, is extremely useful for applicants seeking biomedical research positions in the academic world, because it gives detailed information about the grants of the future employer. It is always good to know how well-funded a future employer is, because one’s career prospects in biomedical research heavily depend on access to NIH funding. Furthermore, the proposal in the RePORTER database include abstracts and aims of funded grants and will inform the candidate about ongoing and future research efforts, something which is not always easily discerned from published papers in the PubMed database. Lastly, many scientists and departments now have websites or blogs which should be carefully reviewed before the interview because they may also contain valuable information, such as the number of research groups in a department or whether the academic department is ensuring gender equality and adequate representation of minorities, especially for people in leadership positions. Before we conduct experiments, we always clearly define the “read-outs”. Will we be measuring cell proliferation? Gene expression? Survival of experimental animals in response to an injury? Delineating the specific goals of an experiment allows us to ensure that the experiment is adequately powered (i.e. the proper sample size), uses the appropriate methods and that our expectations match the experimental design. For example, a “screening experiment” intended to identify a few potential cell survival signaling pathways will be conducted very differently than an experiment that definitively tests the impact a specific signal has on the cell survival. Prior to a job interview, the candidate has to first perform an introspective analysis and clearly understand one’s own goals and expectations for the new job. Am I interested in this job because of the specific research area or because of the track record of the laboratory or department? Am I primarily interested in this job because it will provide me with an opportunity to acquire new scientific skills? Will this job prepare me for a career as an independent scientific investigator? Will the job ideally increase my chances of employment in the private sector such as a biotech company? We often only have vague notions about what we want for our future, and the time prior to a job interview is a good opportunity to narrow down and specify the short-term and long-term goals. In addition to the introspective analysis that needs to be performed prior to the interview, the candidate needs to use the interview as an opportunity to identify the goals and expectations of the prospective employer and find out whether they match up with one’s own expectations identified during the introspective analysis. Experiments rarely work the first time, and even if they do, one still needs to repeat them multiple times under varying conditions to ensure their validity. The same is true for job interviews. Practice makes perfect, and it does not hurt to take advantage of multiple interview opportunities. It can also be useful to perform practice interviews with colleagues or friends, so that one gets into the habit of having a coherent answer to questions such as “Where do you see yourself in 5 years?” or “What do you see as your emerging scientific focus?”. Improvisation is the key to successful experimentation. The best laid plans of mice and scientists often go awry, but one has to quickly adapt one’s experimental plan without compromising the scientific integrity of the data. Whether it involves running from lab to lab to chase down a missing chemical or changing the timeline of the experiment at the last minute, experimental scientists learn to become flexible while remaining rigorous. Similarly, job interviews require the same kind of flexibility. One may assume that everyone will stick to the pre-arranged itinerary regarding the prospective colleagues that a candidate will meet during the interview day, but it is not uncommon to have major last-minute changes to the itinerary. I have even seen cases where a candidate is asked to give an unplanned talk and therefore it is important to be prepared for such surprises. Experiments always need to be analyzed and interpreted; experimental data without the proper context and interpretation can be quite meaningless. Similarly, analysis and interpretation is important for job interviews. Some of the analysis and interpretation can occur during the interview. Interviewers perusing the CV of an applicant may see the data (i.e. grades, the list of publications, abstracts that one has presented, awards, etc), but it can be very advantageous for an applicant to steer the interviewer towards one’s strengths. For example, if the applicant has published in three very different areas and appears “unfocused”, the applicant can preempt such a judgment by providing a narrative of why one worked in these seemingly different research areas. Even after the interview, an applicant needs to sit down and analyze the “data” obtained from the interview experience. How did the interviewers respond to my career goals? Were they impressed or turned off by my research background? Which questions did I master and which ones were challenging? Were the people I met the colleagues that I could get along with? Is this really the best place in terms of helping me meet my scientific and career goals? At the end of the interview, it is important to arrive at some sort of conclusion and a timeline for when a definitive decision can or will be made. Are there any questions that need to be resolved prior to arriving at a decision? In many cases it is also helpful for job candidates to follow-up on the subsequent day with a brief email, thanking the interviewer(s) for the opportunity to meet them. Including specific, unique points that came up during the interview will help ensure that the applicant makes a lasting impression and stick out from a large group of applicants. A generic “Thank you” is not as powerful as a “Thank you” coupled with, for example, expressing one’s excitement about the prospect of working on microbiome regulation of inflammation and proposing a few innovative experiments to address questions raised during the interview. Not only do such emails reinforce one’s interest, the responses of the interviewer(s) to an email can also help the applicant gauge the level of enthusiasm of the prospective employers. These are just suggestions of how to approach a job interview in a logical and organized manner, something which every scientist ought to be accustomed to. The main take-home message is that the effort and time that goes into preparing for an interview is a worthwhile investment because it can have a major impact on the course of one’s scientific career. If you know that you want to become a science writer, should you even bother with obtaining a PhD in science? There is no easy answer to this question. Any answer is bound to reflect the personal biases and experiences of the person answering the question. The science writer Akshat Rathi recently made a good case for why an aspiring science writer should not pursue a PhD. I would like to offer a different perspective, which is primarily based on my work in the life sciences and may not necessarily apply to other scientific disciplines. I think that obtaining a PhD in science a very reasonable path for an aspiring science writer, and I will list some of the “Pros” as well as the “Cons” of going the PhD route. Each aspiring science writer has to weigh the “Pros” and “Cons” carefully and reach a decision that is based on their individual circumstances and goals. A PhD student works closely with a mentor to develop and test hypotheses, learn how to perform experiments, analyze data and reach conclusions based on the data. Scientific findings are rarely clear-cut. A significant amount of research effort is devoted to defining proper control groups, dealing with outliers and trouble-shooting experiments that have failed. Exciting findings are not always easy to replicate. A science writer who has had to actively deal with these issues may be in a better position to appreciate these intricacies and pitfalls of scientific research than someone without this first-hand experience. All graduate students are expected to write their own PhD thesis. Many PhD programs also require that the students write academic research articles, abstracts for conferences or applications for pre-doctoral research grants. When writing these articles, PhD students usually work closely with their faculty mentors. Most articles or grant applications undergo multiple revisions until they are deemed to be ready for submission. The process of writing an initial draft and then making subsequent revisions is an excellent opportunity to improve one’s writing skills. Most of us are not born with an innate talent for writing. To develop writing skills, the aspiring writer needs to practice and learn from critiques of one’s peers. The PhD mentor, the members of the thesis committee and other graduate students or postdoctoral fellows can provide valuable critiques during graduate school. Even though most of this feedback will likely focus on the science and not the writing, it can reveal whether or not the readers were able to clearly understand the core ideas that the student was trying to convey. Most PhD programs require that students present their work at departmental seminars and at national or international conferences. Oral presentations for conferences need to be carefully crafted so that the audience learns about the background of the work, the novel findings and the implications of the research – all within the tight time constraint of a 15-20 minute time slot. A good mentor will work with PhD students to teach them how to communicate the research findings in a concise and accurate manner. Some presentations at conferences take the form of a poster, but the challenge of designing a first-rate poster is quite similar to that of a short oral presentation. One has to condense months or years of research data into a very limited space. Oral presentations as well as poster presentations are excellent opportunities to improve one’s communication skills, which are a valuable asset for any future science writer. Learning to perform an in-depth critical review of scientific work is an important pre-requisite for an aspiring science writer. When PhD students give presentations at departmental seminars or at conferences, they interact with a broad range of researchers, who can offer novel perspectives on the work that are distinct from what the students may have encountered in their own laboratory. Such scientific dialogue helps PhD students learn how to critically evaluate their own scientific results and realize that there can be many distinct interpretations of their data. Manuscripts or grant applications submitted by the PhD student undergo peer review by anonymous experts in the field. The reviews can be quite harsh and depressing, but they also help PhD students and their mentors identify potential flaws in their scientific work. The ability to critically evaluate scientific findings is further enhanced when PhD students participate in journal clubs to discuss published papers or when they assist their mentors in the peer review of manuscripts. Very few writers derive enough income from their writing to cover their basic needs. This is not only true for science writers, but for writers in general and it forces writers to take on jobs that help pay the bills. A PhD degree provides the aspiring science writer with a broad range of professional opportunities in academia, industry or government. After completing the PhD program, the science writer can take on such a salaried job, while building a writing portfolio and seeking out a paid position as a science writer. It is not easy to be a generalist when it comes to science writing. 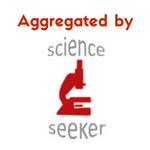 Most successful science writers acquire in-depth knowledge in selected areas of science. This enables them to understand the technical jargon and methodologies used in that area of research and read the original scientific papers so that they do not have to rely on secondary sources for their science writing. Conducting research, writing and reviewing academic papers and attending conferences during graduate school all contribute to the development of such a scientific niche. Having such a niche is especially important when one starts out as a science writer, because it helps define the initial focus of the writing and it also provides “credentials” in the eyes of prospective employers. This does not mean that one is forever tied to this scientific niche. Science writers and scientists routinely branch out into other disciplines, once they have established themselves. It is no secret that there are a number of PhD mentors which treat graduate students as if they were merely an additional pair of hands. Instead of being given opportunities to develop thinking and writing skills, students are sometimes forced to just produce large amounts of experimental data. Even though I believe that obtaining a PhD in science is a good path to becoming a science writer, I am also aware of the fact that many excellent science writers did not take this route. Instead, they focused on developing their writing skills in other venues. One such example is Steve Silberman who is a highly regarded science writer. He has written many outstanding feature articles for magazines and blog posts for his superb PLOS blog Neurotribes. Steve writes about a diverse array of topics related to neuroscience and psychology, but has also developed certain niche areas of expertise, such as autism research. PhD degrees are usually obtained under the tutelage of tenure-track or tenured academics. Their natural bias is to assume that “successful” students should follow a similar career path, i.e. obtain a PhD, engage in postdoctoral research and pursue a tenure-track academic career. Unfortunately, alternate career paths, such as becoming a science writer, are not seen in a very positive light. The mentor’s narcissistic pleasure of seeing a trainee follow in one’s foot-steps is not the only reason for this. Current academic culture is characterized by a certain degree of snobbery that elevates academic research careers and looks down on alternate careers. This lack of respect for alternate careers can be very disheartening for the student. Some PhD mentors or programs may not even take on a student if he or she discloses that their ultimate goal is to become a science writer instead of pursuing a tenure-track academic career. Obtaining a PhD is a full-time job. Conducting experiments, analyzing and presenting data, reading journal articles, writing chapters for the thesis and manuscripts – all of these activities are very time-consuming. It is not easy to carve out time for science writing on the side, especially if the planned science writing is not directly related to the PhD research. The caveats mentioned above highlight that a future science writer has to carefully choose a PhD program. The labs/mentors that publish the most papers in high-impact journals or that happen to be located in one’s favorite city may not necessarily be the ones that are best suited to prepare the student for a future career as a science writer. On the other hand, a lab that has its own research blog indicates an interest in science communication and writing. A frank discussion with a prospective mentor about the career goal of becoming a science writer will also reveal how the mentor feels about science writing and whether the mentor would be supportive of such an endeavor. The most important take home message is that the criteria one uses for choosing a PhD program have to be tailored to the career goal of becoming a science writer. Image via Wikimedia Commons(Public Domain): Portrait of Dmitry Ivanovich Mendeleev wearing the Edinburgh University professor robe by Ilya Repin.